"Fully Automated Luxury Gay Space Communism": Has the Time For Universal Basic Income Finally Come? 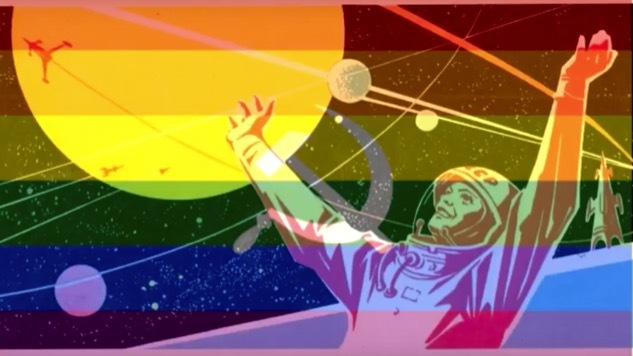 The phrase fully automated luxury gay space communism is the meme-culture embodiment of the left’s traditional aspiration toward utopia. Like other forms of postmodern commentary, fully automated luxury gay space communism internalizes a dialectic of irony. Willful naiveté acts as its animating self-contradiction. The effect is to evoke sincerity while seeming to undercut it, pointing toward a social horizon to giggle at while chasing. The dialectical nature of fully automated luxury gay space communism squares nicely with the contradictory status of technology in Marxian economic theory. Marx identified technological progress as one of capitalism’s fundamental sources of agitation. Capitalists extract surplus value by exploiting working-class labor power, and competitive market pressures dictate that the value be reinvested as capital. This continuous capitalization causes a constant revolution in technology and the productive efficiencies achieved by such advancement cause the capitalist’s own rate of profit to fall. The only way to maintain profits is to increase the proportion by which workers are exploited. And so the cycle of exploitation and accumulation continues and intensifies, generating all the attendant pain and social instability you’d expect from such a mechanism. But it was Marx’s expectation that at some point in the telescoping absurdity, mechanical automation would hit some kind of a terminal threshold, such that practically no human work would be needed to sustain commodity production. Marx writes, “Capital here—quite unintentionally—reduces human labor, expenditure of energy, to a minimum. This will redound to the benefit of emancipated labor, and is the condition of its emancipation.” Capitalism, the system anchored in the exploitation of human labor, would inadvertently abolish the fount of its own value. In the reversal, technology would serve as the basis for workers’ liberation. And so, as in the dialectics of the meme, Marxian progress arises from, rather than in spite of, the contradiction at hand. To many readers, Firestone’s words will sound economically simple-minded and inconsistent with historical experience. This is ever the charge set against progressive thinking. But when it comes to cybernetic communism dreamt up in the 1960s, the critique holds some water. It’s a perfectly natural reaction to view the sci-fi predictions of Marx and Firestone as highfalutin and naïve, in hindsight. But recently, that hindsight isn’t feeling so 20-20. In February of 2016, President Obama’s Council of Economic Advisors concluded that there was an 83% chance of robotic automation replacing jobs that pay less than $20 per hour. In the next tier, which included jobs paying between $20 and $40 per hour, the report reflected a pretty robust 31% chance. Those results jibed with a handful of other studies, which estimated that roughly half of all human employment is vulnerable to robotic usurpation in the next few decades. They’re even talking about robot lawyers. Meanwhile, our political climate is inflamed by economic precarity. As the neoliberal order crumbles beneath the two left feet of the professional-managerial class, right-wing populism skillfully leverages precarity into a program of fascist political economy. Sophisticated alt-right tacticians rode to ascendancy on the ghostly anxieties emanating from extinct factories across the Rust Belt, cruelly stimulating and manipulating a masculinist fantasy of resurgent manufacturing power. DeLong is a left neoliberal, but once again we hear echoes of Marx. In Capital, Marx identified the problem of effective consumer demand as structurally immanent to capitalism. Capitalists are motivated to increase commodity output, while simultaneously depressing wages and adopting technologies that render substantial human labor obsolete. A natural result of this structural tendency is that there’s often not enough consumer purchasing power left over to absorb the excess of goods produced. In Marx’s words, the ability of capitalists to profit is fatally confined “by the consumer requirements of a society in which the vast majority are always poor and must always remain poor.” And so the astonishing technological progress of late capitalism ends in a fundamental contradiction, and that is why we feel like banging our heads against the wall when we talk about globalization, robots, and NAFTA. Last November, the center-left experienced total humiliation. The loss was a trauma from which it still has not recovered. But on the bright side, the antidote to such failure is emerging, namely in the form of renewed interest in bona fide socialism. The Democratic Socialists of America has tripled membership this year, to reach the highest level of dues-paying membership (20,000 and counting) since its formation in 1982. With these two factors in mind—the shadow of robotic encroachment and the explosion of interest in socialist politics—one could be forgiven for posing the question: has the time for fully automated luxury gay space communism finally arrived? What Firestone was suggesting is today known as universal basic income (UBI). A type of social security, UBI programs give every person within a given political space a fixed, unconditional amount of money each year. Unlike other forms of governmental provision, there are no strings attached. UBI is unmediated wealth redistribution; there is no state-issued service standing between the haves and the have-nots. Rather, UBI transfers money directly from a deep pocket to a shallower one. Since all wealth is socially created, the left favors redistribution. But it’s not just a knee-jerk ideological fetish. On a more concrete level, UBI is attractive to left sensibilities because it can reduce the brutal financial insecurity that warps human life in capitalism. What kind of society would we have if no one had to work under threat of severe destitution? A far better one. UBI programs can empower the proletariat with a fresh sense of autonomy and dignity, arising from social recognition that foundational human needs—housing, food, clothing, etc.—are due as a matter of right, and not mere privileges to be “earned” through a lifetime of submission to exploitative labor. With something minimal to fall back on, the overworked and deeply miserable working masses might have a chance to take a breather once in a while, and begin to escape the sheer despair of late capitalism. In previous decades, the idea of UBI would’ve been dismissed as commie nonsense. But today, a combination of technological acceleration, evaporating manufacturing jobs, and boiling class antagonisms have made UBI something to seriously consider. There are some fun proposals. For instance, over at Jacobin, Matt Bruenig proposes using passive investment income as a UBI. He points out that 30% of all income in America takes the form of capital income, which is passive income that flows to its recipient in the form of interest, dividends, or rent. Even more shocking: 10% of all national income takes the form of capital income flowing to the richest 1% of the economy. This means that in addition to being the richest people in the country, the top 1% receives 10% of all the country’s income automatically—without having to work for it—simply because they own so much of the nation’s capital. So, Bruenig reasons, since the rich pretty much already have a UBI, why not have the federal government do the same thing for everyone else? The federal government could generate income by holding a corpus of capital assets in trust, and then distribute that income to everyone for baseline needs. Somewhat more brazenly, n+1’s Mark Greif suggests capping individual income at $100,000 per year, by instituting a 100% tax bracket above that amount. He’d then use the tax revenue to pay every adult citizen $10,000 per year. Grief persuasively argues that contrary to our most deep-seated capitalist values, a viciously redistributive social system would actually make everybody—including rich people—happier and more fulfilled. But there’s a shadier side to UBI as well. In a fascinating article for Dissent, Alyssa Battistoni carefully weighs the pros and cons of UBI in the current political moment, concluding that pushing for UBI right now is probably a bad idea for the left. On the one hand, there’s nothing terribly unusual about the left’s interest in aggressive redistribution. Nor is there anything new about UBI; the idea has been around for over a century. But what’s truly peculiar is that support for UBI is now coming from staunch avatars of the economic right. Milton Friedman, god of the free market, supported UBI in the form of a negative income tax in the 1960s, and Richard Nixon tried to pass it. Today, lots of positive talk about UBI is coming from entrepreneurs, most notably techo-capitalists like Marc Andreesen and Elon Musk. Recently, Musk said UBI is “going to be necessary,” although perhaps not desirable, in the face of changing technology. A few years ago, Andreesen explained that the libertarian argument for UBI sees it as a path to smaller government. The idea is to cut government back out of public security by eliminating government programs and replacing them with cash, unmediated by pesky things like public accountability and democratic administration. And so Battistoni warns, “The prospect of pushing for basic income in the United States right now—when the right controls everything—should be cause for alarm: UBI’s supporters on the left should proceed with caution.” Today, the concern is that UBI would be prioritized and financed at the expense of important social programs. The fear is that those in need will be rendered a pittance—say, $1,000 per month—as a crummy replacement for government aid they can actually depend on. Rather than investing in communities, increasing the quality of public education, sustaining meaningful employment, subsidizing social reproduction—in short, rather than the government taking real responsibility for the wellbeing of its people—UBI appears as a crude one-size-fits-all approach that says, “Take your check and shut up.” In other words, UBI might feed the underclass, but it will do nothing to eliminate it. Make no mistake—the quest for single-payer healthcare is the signature domestic struggle of our generation. Even the wacky communist philosopher Slavoj Zizek agrees on this point. As he put it, “The beauty is to select a topic which touches the fundamentals of our ideology, but at the same time, we cannot be accused of promoting an impossible agenda.” Single-payer healthcare is that beautiful topic: it’s ideologically pure and eminently achievable at the same time. The stakes are clear: if the left can’t do healthcare, then it has no business talking about utopia. But even as the left pursues concrete policy goals, utopian thinking will still play a central role for the left. As the philosopher Stephen Eric Bronner put it, “Utopia is ultimately a regulative ideal: it provides us with a sense of how little civilization has achieved and anticipatory traces of what might be achieved in the future.” And so while taking power and implementing policy is crucial, the left should meanwhile resist the urge to become unduly fixated on pragmatism. Fetishizing practicality, realism, and reasonableness works for centrist, conservative, and reactionary ends; but for the left, those values are creeping anathema. The left’s stubborn insistence on realizing a better world—a substantially better world, one that is immeasurably freer, wiser, less mean, and more equal—is the sine qua non of progressive discourse. In other words, the present preposterousness of utopia is precisely makes it so worthy of imagination, contemplation, and pursuit. Tom Syverson is a writer living in Brooklyn. He can be contacted and harassed on Twitter: @syvology .